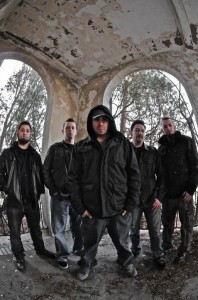 Silent Scream’s Jeremy Talks Latest Album and Band’s Ways with Music! Being at their worst part in their life Silent Scream needed something to turn that upside down into something better hence the name of their latest release “Breaking Me Down”. Vocalist Jeremy Rae caught up to discuss his band’s release, the past, how song writing is created by these guys plus so much more! 1. Where are you guys from originally? Jeremy: We originated in Reading MA at our drummer Dave’s basement. Jeremy: We are a Rock/Hard Rock band. 3. How did you come together? Jeremy: Myself Jeremy (vocals) and Dave (drums) were in a previous band together. When that was at its end we wanted to start something new based on our influences. From there we gained Brendan (guitar) and started writing together. After a few member changes Andrew(bass) and Josh (guitar) came along to form our final lineup. 4. Whatís the origin of the bandís name? Jeremy: We were looking for a way to describe what was happening to our music scene. Bands were breaking up and the music industry was falling at the time, so Silent Season came up from Dave to signify the start of something new at that time. Jeremy: We have a ton, but just to name a few Sevendust, Red, Breaking Benjamin, Metallica, Killswitch, 10 years, and so many more. 6. Tell me about your writing process and what you go through when creating a song. Jeremy: We make it a point to write together. Someone may come up with a part to a song and present it to the rest of the band. From there we map it out by recording what we have and then all break it down to see what works best for the song. 7. What are your songs about and who writes the songs? Jeremy: We like to leave our songs open for interpretation so that the listeners can relate to them in their own way. (I) Jeremy writes the lyrics to the songs, but we all are multi talented and write the songs together. 8. What was the inspiration for the album name Breaking Me Down? Jeremy: At the point where we wrote the song Breaking Me Down a lot of things happened that put Silent Season on hold. Breaking Me Down as an album name was a symbol of us at our worst rising back up to our best. 9. Do you guys have any new music in the works? Jeremy: We actually have been writing a lot for our next album and are very excited to show the world our progress as a band. Jeremy: Don’t ever give up no matter what happens. I can’t even begin to tell you what this band has been through since 2008, but if music is your dream then nothing and no one should ever get in your way. Jeremy: I think the better question is what is not an obstacle for a band; haha. I would say that raising money to do all the things that you need to do. But when there is a will there is a way! 12. Do you have any other side projects happening? Jeremy: Nope, we make it a point to make Silent Season our main priority as we are really just starting to get out there in the eyes of the world. 13. What are the upcoming plans for Silence Season? Jeremy: Our next goal is Radio and eventually touring. We are also going to start raising money for our next music video very soon. 14. Anything else you want to say? Jeremy: We just want to say thank you to everyone who supports us, and thank you very much for the interview!